Sharon took her first class in Therapeutic Touch in 1989, and knew in her heart that she had found a way of expressing some long forgotten part of herself. She found her way to the Healing Touch Program and felt like she had "come home". She was certified as a practitioner in 1996 and as an instructor in 1998. She has a private practice in Fort Collins, Co., and teaches Levels 1, 2, and 3. She was instrumental in getting Healing Touch into the curriculum at Front Range Community College in Fort Collins and taught the first class in 1999-2000 school year. She continues to teach both privately and at FRCC. She is a charter member of Healing Touch International. Sharon has a wide range of experience in her Healing Touch practice. She sees clients seeking healing on the physical, mental, emotional and spiritual levels. A large portion of her practice has been helping those in emotional crisis. 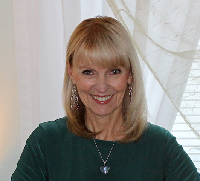 She uses her deep compassion and understanding of the human spirit to assist her clients on their healing journey. Sharon helped form the Northern Colorado Healing Touch Networking Group and is a mentor for Healing Touch students. She was a resource to staff and students at the Student Health Center, where she worked until June of 2005, when she retired from a 30 year career as a records administrator. In October of 2005, she helped create the Twin Flames Production Corporation and is actively involved in the production of beautiful, healing music by a local musician, Steve Skudler. Through her Healing Touch practice and her teaching, she combines her knowledge of energy medicine and her intuitive skills. She has found the perfect way to use her belief in guidance, her belief that all healing is self healing, her belief in the healing power of music, and the knowledge that she is happiest when in service to others.